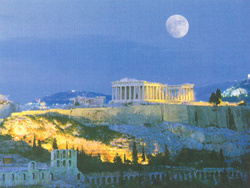 Posted in: Home / Locations / Greece / Athens / Shut Up and Go to Athens! Having never studied Greek before, Jo’s excited to have the opportunity to test herself – after all, there’s nothing more thrilling than a rewarding challenge! Sprawling across the plain of Attica, the city welcomes almost 30 million tourists per year – and for good reason! Its hot summers and mild winters make it ideal for holidaymakers, while its architecture and mountainous environs appeal to urban explorers and nature-lovers alike. Synonymous the world over with history, art, and culture, Athens has grown from a bustling Mycenaean settlement to a dynamic, cosmopolitan metropolis that was voted one of the best European cities to visit by over a quarter of a million people in 2015. 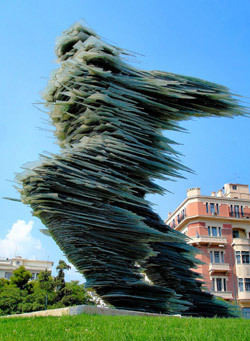 Aside from Athens’ Classical heritage – the countless monuments, landmarks, and artworks that adorn the city – the Greek capital also offers a great source of modern entertainment, boasting 148 theatrical stages (more than any other city in the world! ), several multiplexes, various music venues, summer festivals, and bars, shops, and restaurants galore. Sports fans can visit the Karaiskakis Stadium, home-ground of Olympiacos Football Club, or take a trip to the Panathenaic Stadium, a full-size replica of ancient Olympic stadia made entirely of white marble. With coastal waters off the south-eastern suburbs accessible to swimmers, the city even has its own ‘Riviera’, perfect for those who want to combine their urban adventure with some seaside relaxation. The city is so multi-faceted that travellers are encouraged to visit its many neighbourhoods and suburbs for a more holistic perspective. For art and colour hit Metaxourgeio(1), where graffiti borders on artistry and guerrilla gardening brightens an area once famed for its darkness. For an authentic feel, head to Monastiraki(2), or nearby Kolonaki(3), to stroll the flea markets and browse the area’s myriad shops and boutiques. 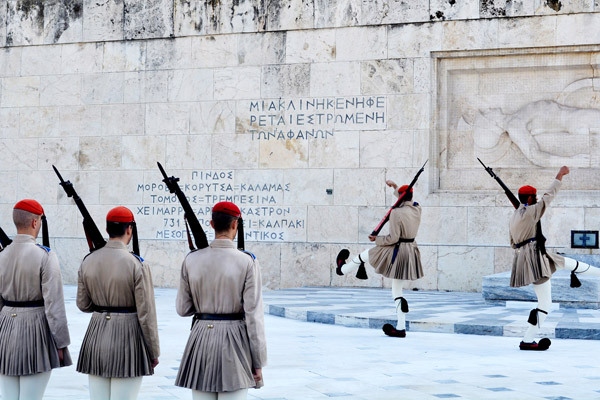 Watch the changing of the Evzones Presidential Guard outside the old King’s Palace – now Greece’s Parliament Building – in Syntagma Square(4), or use the Metro Station to access any one of 65 stations across Athens and the outer areas. Music-lovers should make their way to the renovated Psiri(5) district, where live rebetiko is the sound-track to your evening meal in many a street-side restaurant. For alternative rock clubs, vintage vinyl shops, colourful street art and politically-charged murals – such as the touching tribute to Alexander Grigoropoulou, a young boy tragically shot by police in 2008 – head to Exarcheia(6). Or, if food is your primary focus, take a walk to Thiseio(7), where you will find funky bistros and snug eateries serving meze dishes and traditional fare all along the tree-lined side-streets. The best way to see the city is to make use of Athens’ extensive public transportation service, which runs throughout the day and well into the night, providing unfettered access to any of the neighbourhoods within the urban centre. You can get a 5-day Metro ticket for just under €10, which covers Piraeus – Archarnes – Magoula – Koropi. If the train isn’t your thing, you can hop on an electric trolleybus, a tram, or take a bike ride – the city’s burgeoning cycle scene has lead to weekly group rides in some neighbourhoods, which will provide a bit more safety than riding solo (Greek drivers are, notoriously, somewhat oblivious to those with whom they share the road!). If you have an afternoon to spare, you can also take a train or tram down to Piraeus(8) and hop aboard a ferry to explore one of the Aegean Islands. During her week’s stay in the capital, Jo will be taking a course of private lessons, meaning she will experience bespoke tuition on a one-to-one basis from one of the school’s expert tutors. The school offers group lessons, but Jo opted for a private course so that she could fit her classes around her busy schedule. She also wanted to personalise her lesson content to get as much hands-on experience as possible during her short stay. She will have her work cut out for her, for – although the language is strictly rule-based and therefore quite easy to understand once you’ve grasped the basics – Greek lettering is notoriously difficult for those used to the Roman alphabet. Spoken by at least 13 million speakers worldwide, Greek is a language with a long and varied history. A descendant of the Ancient Phoenician alphabet – which itself came from the now-extinct Linear A and B scripts – its lettering is the same today as that which was used in the Hellenistic period (323 – 31 BCE! ), and its linguistic influence can be seen in Latin, Cyrillic, Armenian, and other European writing systems. Due to the spread of ancient empire and intertwining trade routes across Eurasia, a variety called Koine Greek arose, which was used as a lingua franca not just across the Mediterranean but also as far as West Asia during antiquity. It was a language of administration in early Egypt and Byzantium, and was used by Christian Apostles to spread the word of God thanks to the Septuagint, the oldest extant translation of the Old Testament into Greek from the original Hebrew. Athens itself has had a strong influence on the nation’s language – as the city became more significant in the Mediterranean world, the local dialect Attic replaced other styles and formed the basis for Koine Greek. Attic was later favoured by purists, who felt it the most perfect form of the language and therefore used it for administrative purposes, while the more ‘vernacular’ Demotic Greek was used for poetry and artistic expression. Like many languages, Greek now has a ‘Modern Standard’ version, as well as various diverging dialects, and it is this Standardised form that Jo will be learning during her course. 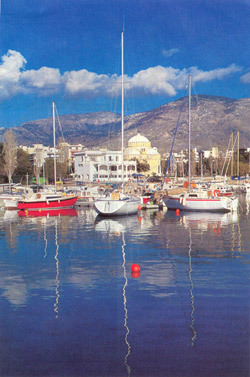 She’ll be living by the beach and may visit an Aegean Island or two during her stay, as well as taking part in activities offered by the school such as visits to local historical sites, dinner with her fellow students at a traditional Greek restaurant, film evenings, culture and history presentations, walking tours, dance lessons, and trips to local points of interest such as Delfi, Mycaene, or Eipidaurus. Stay tuned for her update on her stay – and if any of the above has inspired you to take a trip to the Greek capital, please don’t hesitate to get in touch with us!